Teddy has been a fan of Massive Monster Mayhem since the show first was aired on TV. It was tough, smashing, physically challenging for participants but far from being serious. Episodes remind Godzilla ruining the city. Those buildings we see on the show mostly are foam-built buildings for kids to play. Teddy turned Massive Monster Mayhem into his own activities like fun pillow fights on weekends and created pixel art of show characters Macho Cheese and RoBro in his Minecraft game. Just on time for holidays Massive Monster Mayhem released a whole line of toys kids will be excited to play with and receive as gifts. I think children would love these toys, because they are created for kids to have friendly fights, make them move, run, jump and have fun. Though our grandma does not like the show because she thinks it is cruel, Teddy likes his new Massive Monster Mayhem toys a lot. 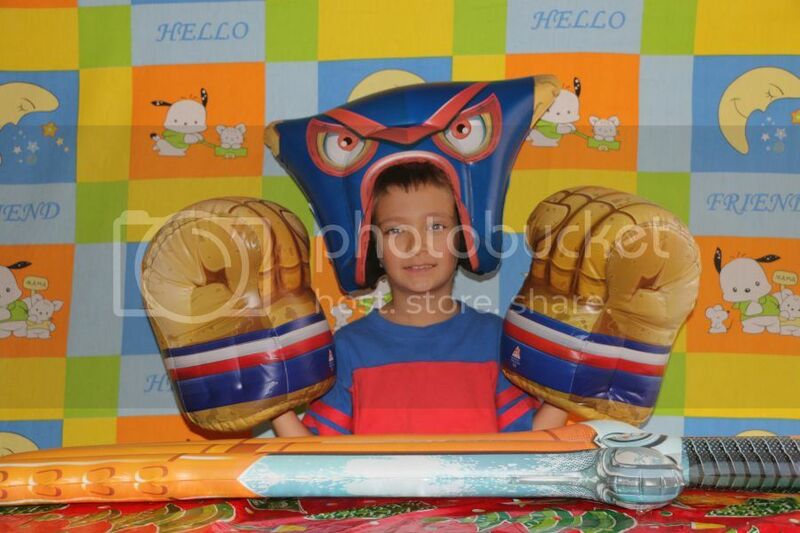 He used to have fun pillows fights, now he got lots of inflatable role-play toys and dress up items. 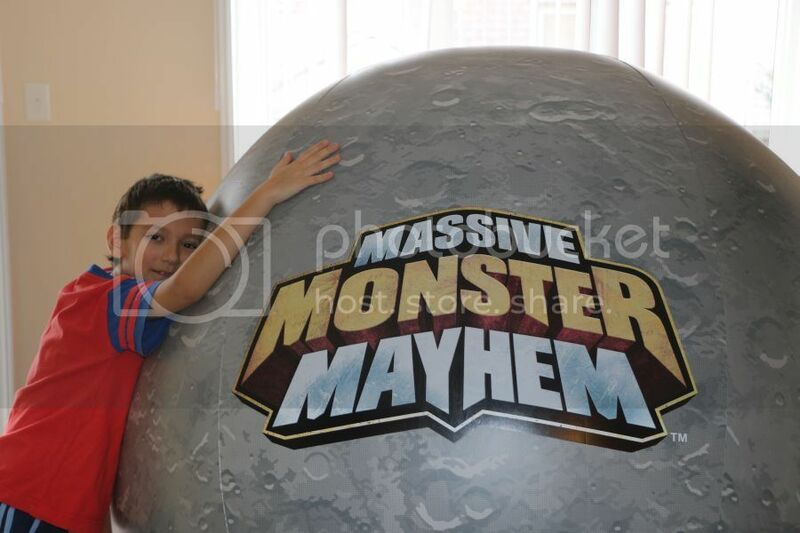 Massive Monster Mayhem toys are really huge, for example giant 5-foot inflatable Moon Ball. This is the ball you can see in the game and it is so big that hardly can be moved through the house. Though Moon Ball is big, it is pretty lightweight, Teddy can move it easily. There are many ideas to play with this ball, Teddy suggested outdoor bowling or a bounce game. Bash Armor is great way to play with Massive Monster Mayhem toys. 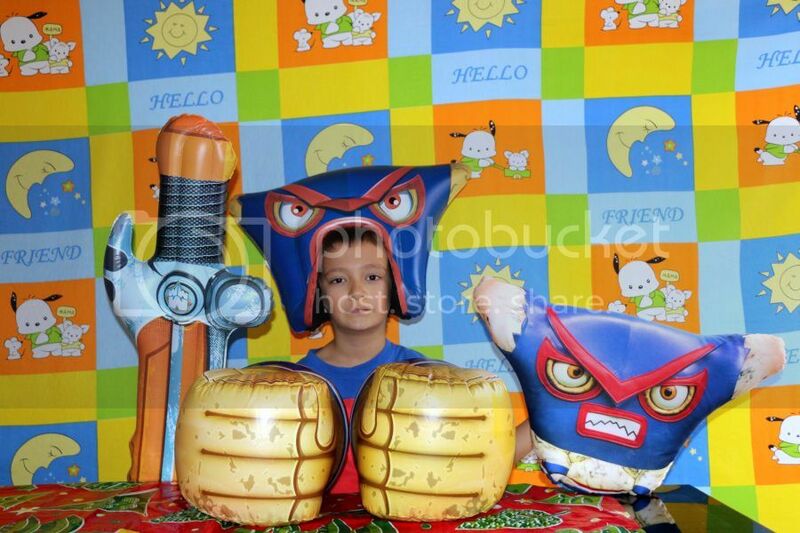 There are Macho Cheese Inflatable Bash Armor and RoBro Inflatable Bash Armor for kids to have fun. 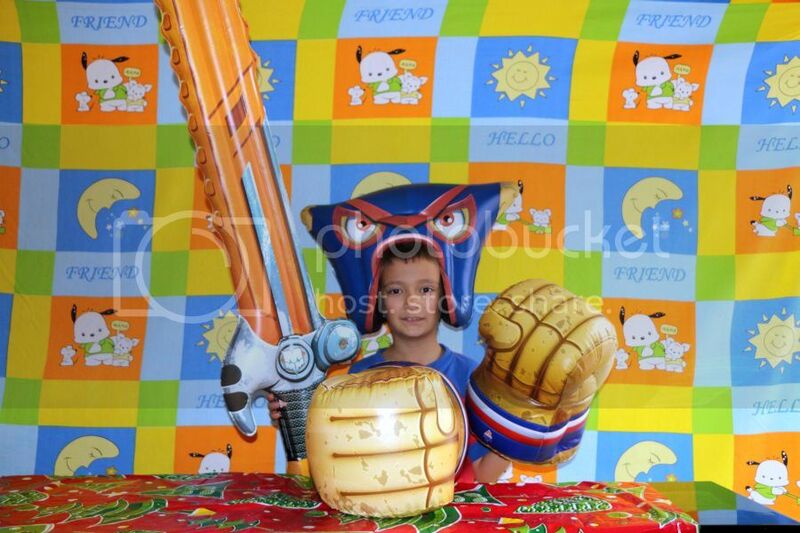 They come as extra-large inflatable head gear and fists. Teddy likes Macho Cheese character the most so his gear is our kid’s favorite. Our kids can’t wait to meet on holidays to have cool fights using Bash Armor. Besides huge head gear and fists, Massive Monster Mayhem also offers Bash Weapons to play. They come as enormous sword, ax or a hammer. Some of them are totally fun and not only for fights but often for teasing family members. They are perfect for parties and family gatherings! Fights are often amusing with action figures. And Massive Monster Mayhem has fantastic 16 inches tall monster figurines. We like our Massive Monster Figure Major Disappointment, it comes in full armour and the best thing in bunny slippers you can take off. It has glowing eyes, real monster voice and an extra accessory. 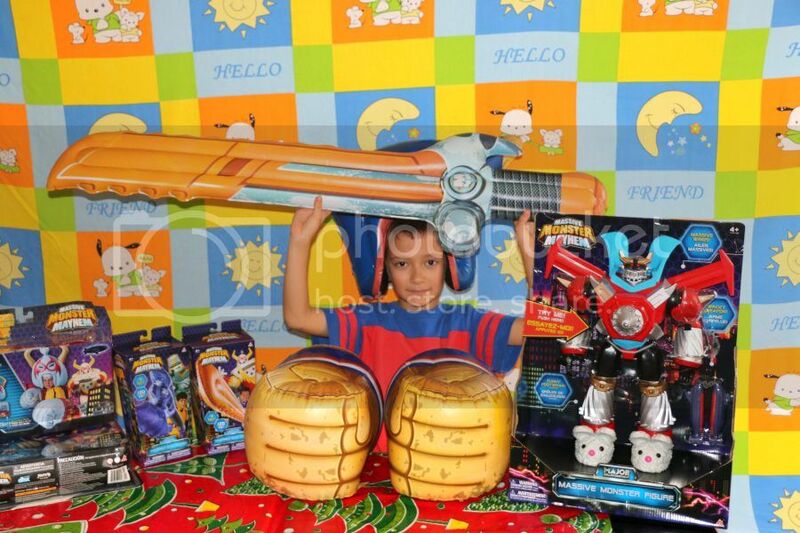 All these toys are available on Amazon, Target in US and at ToysRUs in Canada. Just for information - the inflatables do not include a pump in their sets. Massive Monster Mayhem is an original show for kids 6–11 that combines live action and CGI animation with real competition and comedy. Each episode features three real-life kid heroes competing in a gauntlet of Intergalactic Battle Alliance challenges to become Earth's champion and face off against Master Mayhem's league of monsters in the ultimate "Monster Mashdown." The unique series combines cutting-edge, real-time CGI and pre-visualization technology.